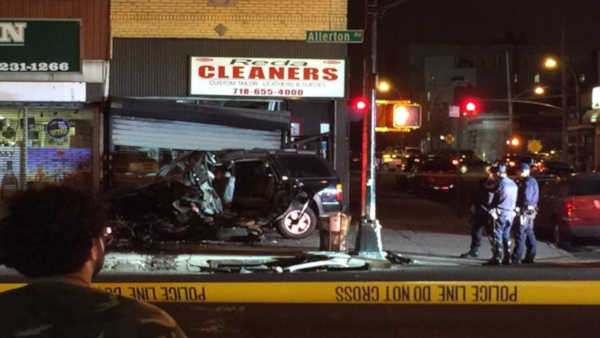 ALLERTON, Bronx (WABC) -- Police are investigating what caused a car to crash into a store in the Bronx. The accident happened near Allerton Avenue and Barnes Avenue in the Allerton section on Saturday night. Police say the driver; a 37-year-old mam struck two parked cars and a light pole before crashing into the store. He was taken to the hospital where he later died.